Saturday, February 2, 2019 at 9:30 a.m.
-When: The first Saturday of each month. 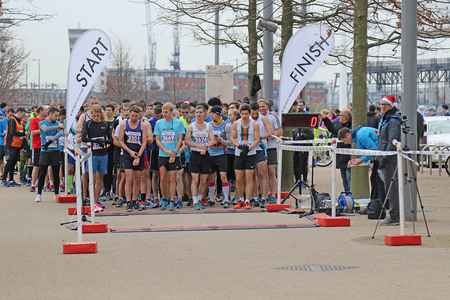 -Race numbers: Available for collection from registration on the day. -Entries on the day: £2 surcharge, subject to race entry limit. -Course: The course is all on tarmac or hard gravel pathway. The course is made up of three laps and shown on the map below. The course is marshalled, signed with arrows and kilometre markers. -Facilities: Attended baggage drop at the Race Hub. Toilets are available, that are plenty and large enough to change in. If you'd like changing rooms and showers, before or after the race, you can show your race number at The London Aquatics Centre or The Copper Box and use the facilities for just £2. -Catering: The Last Drop is open for food and drinks.